LG Chem has acquired DuPont's soluble OLED technologies an assets, in a deal estimated at $175 million. 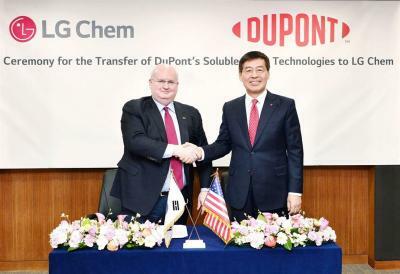 LG Chem will receive DuPont's entire soluble OLED IP (540 materials and process patents) and all of DuPont's related equipment and R&D facilities. The deal does not include any assets related to DowDupont's evaporation OLED business. LG Chem believes that the OLED industry is moving towards ink-jet printing of OLED panels based on soluble OLED materials and technologies - and it has now acquired key technologies in this area. DuPont has been developing related materials for over 20 years, has been collaborating with equipment makers (such as Kateeva) and display makers and has also developed its own nozzle-printing process. 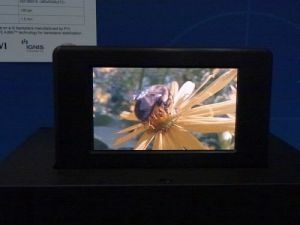 LG Chem says that it believes display makers will start to mass produce soluble OLED displays in the next five years. JOLED is already producing OLED monitors using ink-jet printing, but in very low volumes which could not be considered mass production. Most OLED producers, including LGD, Samsung, TCL and BOE are all developing ink-jet printing processes for OLED TV production. In 2015 DuPont announced the opening of a new $20 million manufacturing facility designed to deliver production scale quantities of solution-based OLED materials. This facility was probably now transferred to LGD. In 2015 we also posted an interview with DuPont's OLED unit Director of Operations. Wow - didn't see this coming. Given there have been reports that Samsung were planning on using DuPont materials for printing the OLED layer on their QD-OLED hybrid this could throw a major spanner into those plans as Samsung would now have to buy materials from its arch rival. Otra jugada maestra de LG.....Efectivamente si Samsung acaba produciendo sus paneles QD-OLED si o si tendra que comprarle los materiales a LG....LG lo ha vuelto a hacer, el mosqueo en la cupula de Samsung debe ser enorme. Is in the reports mentioned why Samsung would want to print a blue OLED? That would be a major design change for a hypothetical QD-OLED fab, instead of taking equipment and processes you have and reengineer the processes for the new materials you need to introduce to the fab. To me this Looks more like Dow-Dupont made a decision that the foreseeable Business is in vacuum evaporated materials (which originates from Rohm&Haas being acquired by Dow).